"Well, it's been somewhat of a revolving door of members during the last couple of years, and now Per is no longer a member. [Martin] Mendez [bass], Axe [Martin Axenrot, drums] and Fredrik [Åkesson, guitar] and I came to the decision that we should find a replacement for Per right after the recordings of the new album, and this came as no surprise to Per. He had, in turn, been thinking about leaving, so you could say it was a mutual decision. There's no bad blood, just a relationship that came to an end, and that's that. We wish Per the best, and he did a splendid job recording keyboards for the last record, which stands as his final recording with OPETH." 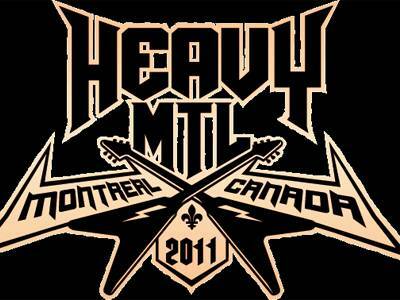 Evenko has given out some new names for Heavy MTL 2011 that will take place on July 23rd and 24th at Parc Jean Drapeau in Montreal, Qc. Kiss, Motörhead, Billy Talent, The Sword, Children Of Bodom and Opeth are going to be part of that first North American metal festival. More names should be announced soon. Opeth to release "In Live Concert at the Royal Albert Hall"
New York, NY: As part of the ongoing celebration of their 20th anniversary, Sweden’s OPETH is releasing live footage and audio from the band’s recent performance at London’s famed Royal Albert Hall. In Live Concert at the Royal Albert Hall, due out 9/21/10, is a fierce testament to Opeth’s continued success in the progressive metal community. The performance at the Royal Albert Hall (recorded on the 5th of April, 2010) includes two sets, the first consisting of the band performing 2000’s now-classic, breakthrough epic, Blackwater Park in its entirety, and the second, a chronologically arranged selection of material from the rest of Opeth’s extensive catalog, totaling almost three hours of music. It is, like the rest of Opeth’s greatest work, “purposefully warped in all the right places” (Decibel). The front cover artwork concept pays tribute to Deep Purple´s Concerto for Group and Orchestra, underlining the band’s longstanding love for their prog-rock roots. Thinking back to the concert, frontman Mikael Åkerfeldt says "Opeth had a magical night playing the Royal Albert Hall. It was a dream come true, and now afterwards, it still feels like a dream. We got it all on film, and this, our third live recording and DVD might be my personal favorite. One couldn't help to think of all the fantastic artists that played there over the years. Looking back at this night of celebration brings me fond memories of our 20th anniversary—this package is the delayed birthday present. Enjoy!" ·Double-DVD set of Opeth’s performance at the legendary Royal Albert Hall, in its entirety, including bonus features. · A set of four 180-gram LP’s of the concert’s live audio in its entirety. The vinyl is housed in black poly lined inner sleeves which are packaged as 2 double gatefold set with exclusive artwork. Vinyl only available in this box set. ·Exclusive, numbered lithograph with artwork designed by Mikael Åkerfeldt and longtime Opeth designer, Travis Smith. · 20-page, LP sized booklet printed on coated paper stock that chronicles the night’s events in photos. · Expanded, exclusive artwork and more. - 5-disc set that consists of 2-DVD and 3 CD’s. The set not only includes the legendary evening captured on video, but the concert’s live audio in its entirety as well. -Double-DVD set of Opeth’s performance at the legendary Royal Albert Hall, in its entirety, including bonus features. Drummer Martin "Axe" Axenrot of the progressive metal band Opeth was interviewed by Inwë[b]zine when the band played in Paris , France on April 3 . Watch the chat below . envoyé par InweTV. - Regardez plus de clips, en HD !